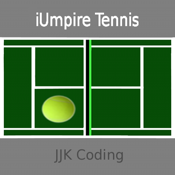 Ever needed to keep track of the score when playing tennis? Look no further with this handy tennis score keeper. It allows you to keep track of each player's score for each game, set, and match. All you have to do is click the Point button under the right team and the score will increase. You can also click the New Match button to start over.